I’ve got a climate datalogger in my house here in West Auckland. Its based on an Etherten from Freetronics, which is an ethernet-enabled Arduino Uno compatible board. On that is sat a wing screw shield for easy connection of wires and on top of that is sat an Adafruit LCD shield showing the readings. Inside or outside it are a DHT22 temperature and relative humidity sensor, a BMP085 air pressure and temperature sensor, a DS18B20 temperature sensor and a light dependent resistor. The sensors are polled every 20s and the data uploaded to Xively. 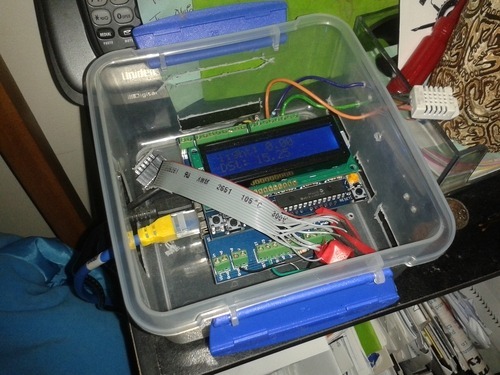 The BMP temperature sensor reads a few degrees high because its inside the plastic box, exposed to the warmth from the circuitry. The DS18B20 generally reads a couple of degrees low because its hanging down the back of the shelves the logger sits on, away from ambient air movement (although this is, of course, still interesting [to me, anyway]). The whole affair runs off a 5V power supply connected by USB. Here’s a shot of the log from the last few days. The gap in the data is where the logger hung and had to be reset, by the way. As you can see, after a series of cold, wet days- indicated by the small peaks in the ‘light’ plot at the top left- relative humidity climbs to nearly 100%. This is despite us leaving the heat pump and a pair of heaters running all night. This was not helped at all by the need to dry clothes inside when its too wet outside, adding to the moisture in the air. 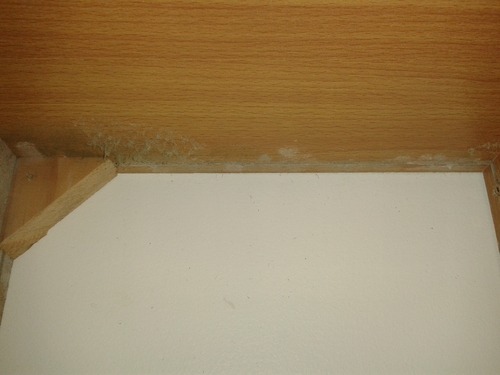 As a consequence I now have mould growing on the shelves in my bedroom! Yay, for houses with poorly fitting, single-glazed windows and no insulation! Here’s the Arduino sketch, if anyone’s interest. // ! ! USB DEBUG OPTION ! ! //// Data wire is plugged into which pin on the Arduino? //// Pass our oneWire reference to Dallas Temperature.